Geneva, 29.05.2017 Due to the damages and destruction of the electricity supplier and network, on which the functioning of many hospitals in Syria relies and thus is severely restricted, UOSSM is launching a groundbreaking project to supply life saving medical facilities with electricity from solar energy. Amid the ongoing violence in Syria, Syrian civil actors are taking control of their future by creating sustainable, life-saving solutions to the ongoing attacks on local medical facilities. An innovative new project in Northern Syria spearheaded by the Union of Medical Care and Relief Organizations (UOSSM) promises to transform access to urgently needed medical care. 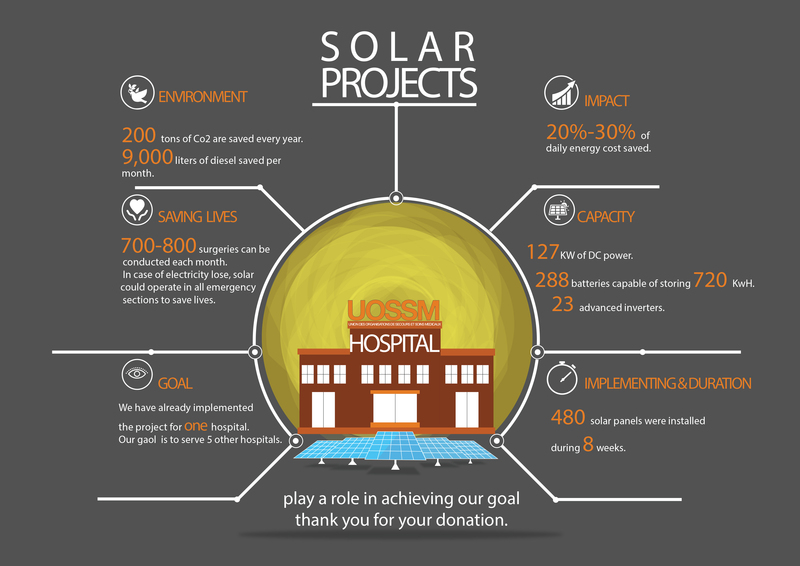 Faced with these challenges, in 2016 UOSSM launched an innovative new project aimed at reducing operating costs and increasing hospitals’ resilience in the face of life-threatening power losses, through the installation of sustainable solar energy systems in critical hospitals. This pilot project, the first of its kind in Syria, officially went live on May 29, 2017 after 10 weeks of installation and months of testing and monitoring. 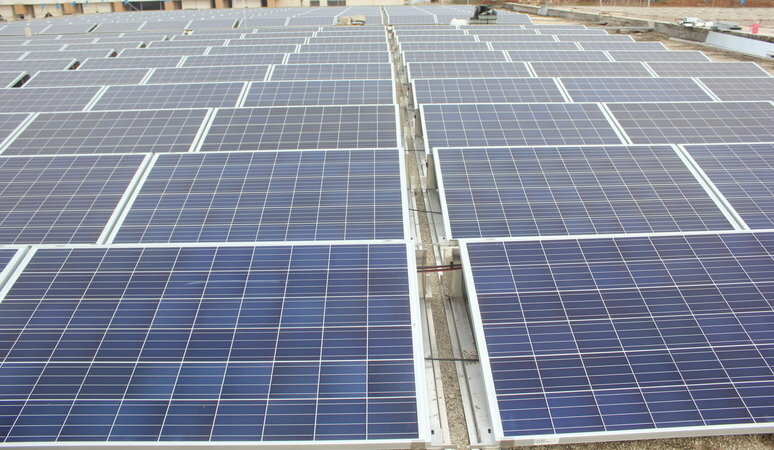 UOSSM installed 480 solar photovoltaic panels with a capacity of 127 kWp DC power, 288 batteries capable of storing 720kWh of power, and advanced data control systems. “As first speaking about this project, I thought it is a joke, unachievable in such conflict conditions, but now months later, we are just convinced once again that those people there who live under fire deserve the brightest future. Such project proves to the entire world, that in Syria, there is people who loves life, believe in a future, and work for the interest of humanity and environment” Said Shadi Alshhadeh UOSSM-Suisse executive director. Reduced dependency on diesel: Solar energy reduces a dangerous dependency on fossil fuels, saving an average of 300 liters of fuel every day. Sustainability: Solar energy can provide fuel-free clean electricity for 10-20 years with minimum maintenance, and has the potential to provide electricity for 24 hours every day. Note: Hospital name concealed for the protection of the staff and the facility.